The International Maritime Organization (MEPC 72)1 is expected to adopt its Initial GHG Strategy for shipping by the end of next week. The discussions aim to include in the Initial Strategy a CO2 emissions reduction target for the sector as well as potential short, mid, and long-term reduction measures. Once adopted, this strategy will be the contribution of the sector to the Paris Agreement. Together with all other national reduction commitments, it will be tested whether it is fit for purpose at the “stock-taking” meeting planned later this year. The EU has recently agreed on a position with regard to the negotiations in the IMO on a CO2 emissions reduction target. ESPO supports the EU position and believes that it is a positive contribution to the IMO discussions. “The Initial GHG Strategy will allow shipping to take part in the stock-taking meeting under the Paris Agreement in 2018. We need global action but we need it on time. There is a sense of urgency in order for the sector to contribute to the Paris objective to keep the increase of global temperature well below two degrees. 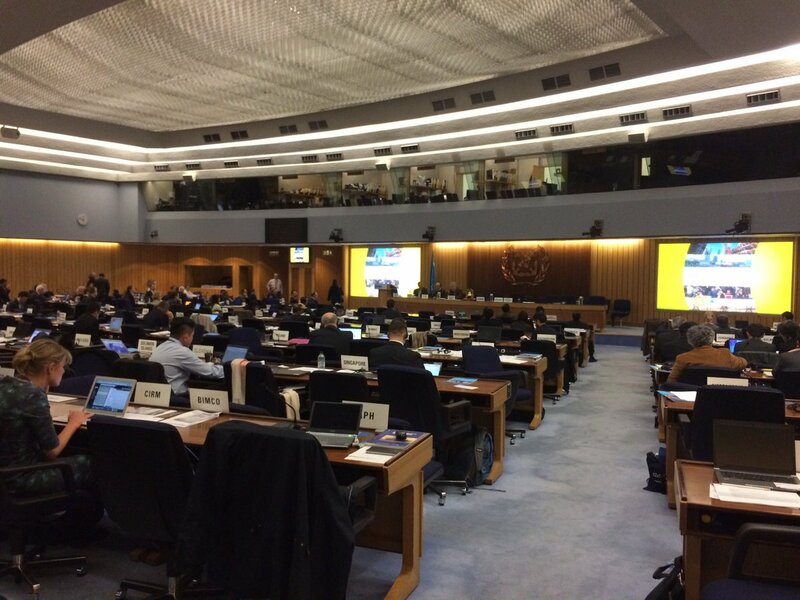 We hope that the EU position will be well received and will be considered by the negotiators as a constructive contribution to finalizing and adopting the Initial IMO GHG Strategy next week. It is good to see that it is already receiving some support on the shipping side as well,” says ESPO’s Secretary General, Isabelle Ryckbost. Ports, coastal cities, and their local communities are amongst the most vulnerable to extreme weather conditions resulting from global warming. Under the Paris Agreement, all countries and all sectors of the economy need to take immediate action and to contribute to keeping the increase of the global temperature well below two degrees. The EU and national climate measures that are currently being developed to implement the Paris Agreement oblige ports to reduce the carbon footprint of their land-based activities. In parallel, European ports aim to facilitate the decarbonisation of shipping by providing green services, where possible. Under the EU Alternative Fuels Infrastructure Directive, LNG bunkering facilities and On-shore Power Supply should be provided in ports of the TEN-T core network by 2025.